Women often use natural resources differently than men yet frequently have minimal influence on how local resources are managed. An emerging hypothesis is that empowering more women in local resource decision-making may lead to better resource governance and conservation. 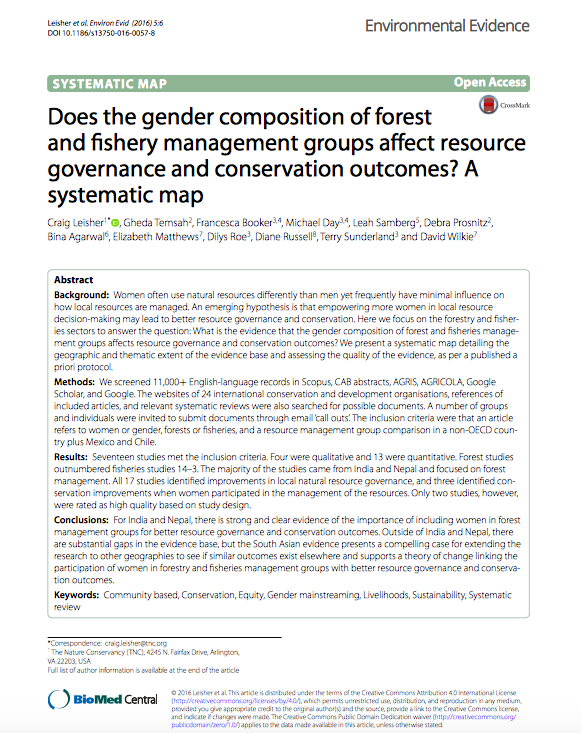 Here we focus on the forestry and fisheries sectors to answer the question: What is the evidence that the gender composition of forest and fisheries management groups affects resource governance and conservation outcomes? We present a systematic map detailing the geographic and thematic extent of the evidence base and assessing the quality of the evidence, as per a published a priori protocol.